"Click Play To Learn More About Crowns"
To restore a damaged smile with teeth that are cracked or broken, all-porcelain crowns can be a beautiful choice. Some older style of crowns are lined with metal, called a porcelain-fused-to-metal crown. 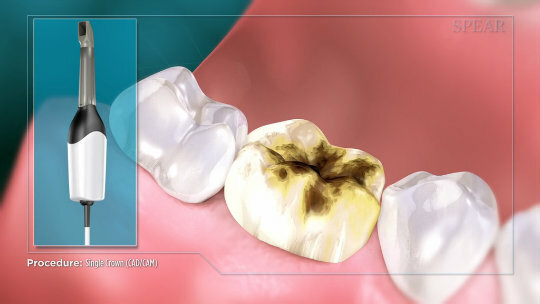 This can create a dark line at the gum, making the teeth look unnatural.